Register today, as high quality t-shirts are on a first come first serve basis. Also, race miles qualify for 100 Mile Club! Please join family, friends, staff and the Niwot community for one of the most high-energy events of the school year. Sunday, September 23rd will be the 13th annual running of the 5km (3.1 mile) run/walk event, and you don’t want to miss the train! 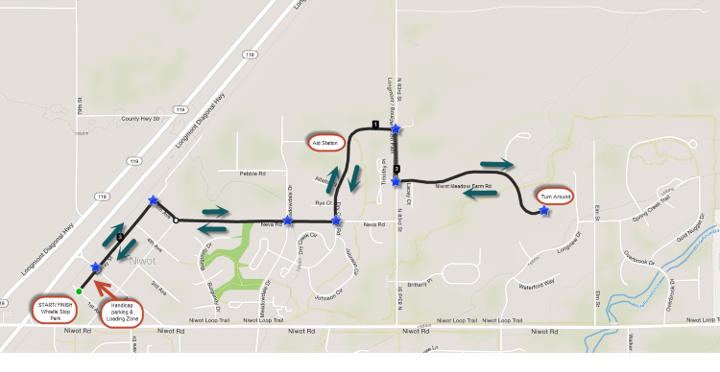 The Niwot Trot will be professionally timed, on a course that winds through downtown Niwot from Whistle Stop Park (adjacent to the Niwot Children’s Park). This fast and extremely flat out and back course is perfect for cheering on your fellow participants. After running, walking, trotting or strolling, revel in your accomplishment at Whistle Stop Park for a celebration complete with music, sponsor activities and formal awards ceremony. This isn’t any awards ceremony, this is where we celebrate the incredible performances of our youth! please order accordingly). T-shirt quantities are limited so register early! may be accepted at Niwot Elementary School until Sept 19 th only.  Race day registration is $25 per participant. Not interesting in testing yourself against the course? No worries. There are many volunteer roles necessary to make this race successful. Especially if your child wants to race but you don’t, volunteer! Please shoot a quick email to niwottrot@gmail.com to volunteer and we will contact you. Parking will be extremely limited, so we encourage you to walk, bike or carpool to the start/finish. No cars may park along Murray between 1st and 2nd, or along 1st Ave. Plan ahead to ensure you’re not late for the fun. Professional results will be posted immediately after the event. Additionally, they will be available via the website of the timing company (Finish Line Timing by Timberline Events) by Monday morning after the race. 83rd at the marked crosswalk to head East on Niwot Meadow Farm Rd. Racers will stay on Niwot Meadow Rd until it dead ends at the cul de sac. This is the turn around. Racers will retrace their route to the finish. Boulder County Sheriffs officer will be at 2nd and Murray, and the 83rd Street crossing intersections to control traffic and for runner safety. This event couldn’t be as successful without the generous support of our sponsors. If interested in sponsoring, there are many levels of sponsorship available to fit any budget. Please contact fundraisingniwotptac@gmail.com, Riki Frea or Amanda Burdette with questions. The deadline for sponsorship is September 1st , so don’t delay. Johnson, or Assistant Director Amanda Burdette at niwottrot@gmail.com.